Headquartered in Fremont, California, Aehr Test Systems is a worldwide provider of test systems for burning-in and testing logic, optical and memory integrated circuits and has over 2,500 systems installed worldwide. Increased quality and reliability needs of the Automotive and Mobility integrated circuit markets are driving additional test requirements, incremental capacity needs, and new opportunities for Aehr Test products in package, wafer level, and singulated die/module level test. Aehr Test has developed and introduced several innovative products, including the ABTS and FOX-P families of test and burn-in systems and FOX WaferPak Aligner, FOX WaferPak Contactor, FOX DiePak Carrier and FOX DiePak Loader. The ABTS system is used in production and qualification testing of packaged parts for lower power and higher power logic devices as well as all common types of memory devices. The FOX-XP system is a full wafer contact and singulated die/module test and burn-in system used for burn-in and functional test of complex devices, such as leading-edge memories, digital signal processors, microprocessors, microcontrollers, systems-on-a-chip, and integrated optical devices. The WaferPak Contactor contains a unique full wafer probe card capable of testing wafers up to 300mm that enables IC manufacturers to perform test and burn-in of full wafers on Aehr Test FOX systems. The DiePak Carrier is a custom designed reusable test board for the FOX-XP system which enables IC manufacturers to perform cost-effective test/burn-in of singulated die and modules. Aehr Test Systems’ corporate headquarters has been certified to the International Standards Organization (ISO) 9001 standard since 1997. Joined the Company as President and Chief Executive Officer in January 2012. Prior to joining Aehr, Mr. Erickson served as Corporate Officer and Senior Vice President & General Manager of Verigy’s memory test business. Prior to that, Mr. Erickson was Vice President of Marketing and Sales for Agilent Technologies’ Semiconductor Memory Test products. 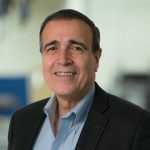 He has over 26 years of executive and general management, operations, marketing, sales, and R&D program management experience dating back to the late 1980s, when he began his career in semiconductor test with Hewlett-Packard’s Automated Test Group. He received a B.S. in Electrical Engineering from Arizona State University. Joined the Company in January 2008 as Corporate Controller and was elected Vice President of Finance and Chief Financial Officer in September 2015. From 1999 to 2007 Mr. Spink held several positions at Applied Materials, the global leader in the semiconductor capital equipment industry, including divisional controller and corporate accounting manager. He has more than 30 years of accounting and finance experience in the high tech, public accounting, leasing, service, and construction industries and began his career with accounting firm Deloitte. Mr. Spink received a B.S. in Business Administration, Accounting and Finance options, from California State University East Bay. Joined the Company as Vice President of Engineering in October 2000 and became the Chief Technology Officer in March, 2018. From 1999 to 2000, Mr. Hendrickson served as Platform General Manager, and from 1995 to 1999 as Engineering Director and Software Director, of Siemens Medical (formerly Acuson Corporation), a medical ultrasound products company. From 1990 to 1995, Mr. Hendrickson served as Director of Engineering and Director of Software of Teradyne Inc. (formerly Megatest Corporation), a manufacturer of semiconductor capital equipment. Mr. Hendrickson received a B.S. in Computer Science from Illinois Institute of Technology. Joined the Company as Executive Vice President of Sales and Marketing in October 2018. Prior to joining Aehr, Mr. Rogers served as head of sales and marketing at GES preceding its acquisition by Kimball Electronics. 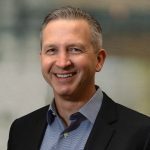 Mr. Rogers, over the past 22 years, has held numerous senior executive sales, marketing and operations management positions, successfully building multi-channel sales distribution and support organizations at both public and start-up technology companies in the semiconductor and system level test space. 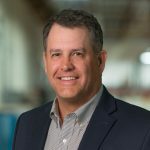 His career has focused on nanoscale inspection, manufacturing, and test technologies with such leaders as LitePoint (acquired by Teradyne), Credence Systems Corporation (acquired by Xcerra), NPTest (acquired by Credence Systems) and Schlumberger Automated Test Equipment. He also oversaw sales for FlexStar Technology, a Bay Area leader in hard disk drives (HDD) and solid-state disk drives (SSD) test and burn-in. Mr. Rogers received a B.S. in Electrical Engineering from North Dakota State University. Joined the Company as Vice President of Operations in June 2014. 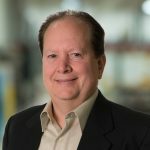 Prior to joining Aehr, Mr. Fucci served as Vice President of Manufacturing Operations/Vice President of Quality & Compliance at DCG Systems, a leading provider of design-to-test solutions for the global semiconductor industry, where he had overall responsibility for managing manufacturing operations, quality assurance, facilities and IT. Prior to that, he was Director of Worldwide Operations/Supply Chain Management at Wireless Online, Inc., and Senior Director of Manufacturing Operations for MicroTouch Systems. Mr. Fucci received his BSEE from the Northeastern University and an MBA from Boston University. Joined the Company as a Senior Electrical Engineer for Aehr’s Wafer Level Test and Burn-in solutions in 1998, and has held several key positions before he was elected Vice President of Engineering in March 2018. 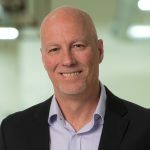 Prior to joining the Company, Mr. Richmond was co-founder, member of the Board of Directors, and Vice President of Operations at ChipScale Inc. / Micro SMT Inc., a leader in chip scale packaging of semiconductor ICs & discrete circuits. Prior to that, Mr. Richmond served as president of TEAM Holdings LTD. / TEAM International LTD., a semiconductor packaging subcontract. Mr. Richmond has over 40 years of executive and general management, operations, customer support and R&D program management experience dating back to the mid-1970s when he began his career in semiconductor design with Signetics Corporation. Mr. Richmond received a B.S.E.E. Technology from DeVry Institute Arizona. President, Aehr Test Systems Japan K.K. Joined the Company as Vice President, Aehr Test Systems Japan K.K., the Company’s subsidiary in Japan, in June 1998 and was elected President, Aehr Test Systems Japan K.K. in January 2001. 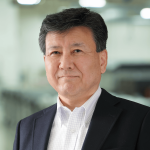 From 1991 to 1998, he served as Manager of Development Engineering Department at Tokyo Electron Yamanashi Limited, a leading worldwide semiconductor equipment manufacturer. Mr. Sano received a B.S.E.E. from Sagami Institute of Technology in Kanagawa, Japan. Joined the Company as President and Chief Executive Officer in January 2012. Prior to joining Aehr, Mr. Erickson served as Corporate Officer and Senior Vice President & General Manager of Verigy’s memory test business. Prior to that, Mr. Erickson was Vice President of Marketing and Sales for Agilent Technologies’ Semiconductor Memory Test products. He has over 26 years of executive and general management, operations,marketing, sales, and R&D program management experience dating back to the late 1980s, when he began his career in semiconductor test with Hewlett-Packard’s Automated Test Group. He received a B.S. in Electrical Engineering from Arizona State University. He has been a director of the Company since 1989. Dr. Elder was the Chief Executive Officer of Genus, Inc. a semiconductor equipment company, from 1981 to 1996, and then again from 1998 until the company was acquired by AIXTRON AG in 2005. Dr. Elder retired from AIXTRON in December 2007 and continues to serve in an advisory role for the company. 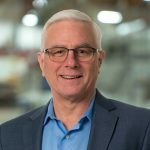 Dr. Elder is currently President and Chief Executive Officer of Maskless Lithography Inc., a capital equipment start-up company based in San Jose, California. Dr. Elder holds a B.S.I.E. and an honorary Doctorate Degree from the University of Paisley in Scotland. He was a director of the Company from 1977 to 2008, and then rejoined the Board of Directors in 2009. He is a member of the law firm Wilson Sonsini Goodrich & Rosati, Professional Corporation which he joined in 1971. Mr. Rosati is a director of Sanmina Corporation, an electronics manufacturing services company and a publicly-held company, as well as several privately-held companies. Mr. Rosati holds a B.A. from the University of California, Los Angeles and a J.D. from the University of California, Berkeley School of Law. He was appointed to the Company’s Board of Directors in December 2014. Mr. Schneider co-founded Private Wealth Advisors and PWA Securities, a SEC-Registered Registered Investment Advisor and FINRA-registered Broker/Dealer, in 2003 and 2008, respectively. In July 2015, Mr. Schneider sold his ownership position in both companies to create a new SEC-Registered Investment Advisor, JMS Capital Group Wealth Services. He has been the owner and President of JMS Real Estate, commercial real estate investment and property management, and JMS Development, general contracting, since their creation in 2008 and 2014, respectively. Mr. Schneider has served on a variety of non-profit boards and is a Certified Financial Planner. He graduated from the University of Pittsburgh with a Bachelor of Arts Degree in Economics. He was appointed to the Company’s Board of Directors in 2008. He has been providing independent financial consulting services to various organizations and clients since June 2001. From October 1999 to May 2001, Mr. Slayen was Executive Vice President and Chief Financial Officer of Quaartz Inc., a web-hosted communications business. From 1971 to September 1999, Mr. Slayen held various positions with PricewaterhouseCoopers/ Coopers & Lybrand, including his last position as a Corporate Finance Partner. Mr. Slayen currently serves as a Director for several non-profit organizations. Mr. Slayen holds a B.A. from Claremont McKenna College and a J.D. from the University of California, Berkeley School of Law. Aehr Test Systems is seeking talented, passionate, and relentless doers for our teams around the world. If that sounds like you, please check out our current job openings. We’d like to hear from you! We are always looking for exceptional candidates and you are welcome to send us your resume using our contact form.